Thank you Takami! Happy New Year to you and yours. May we see more of your photos in 2018. Mr. Blue and Mr. Red – I like it! I can’t imagine what the mystery bird was…maybe it will come back. The mystery bird may be a female brown-headed cowbird, but it’s just my guess. I remember they can be tricky. 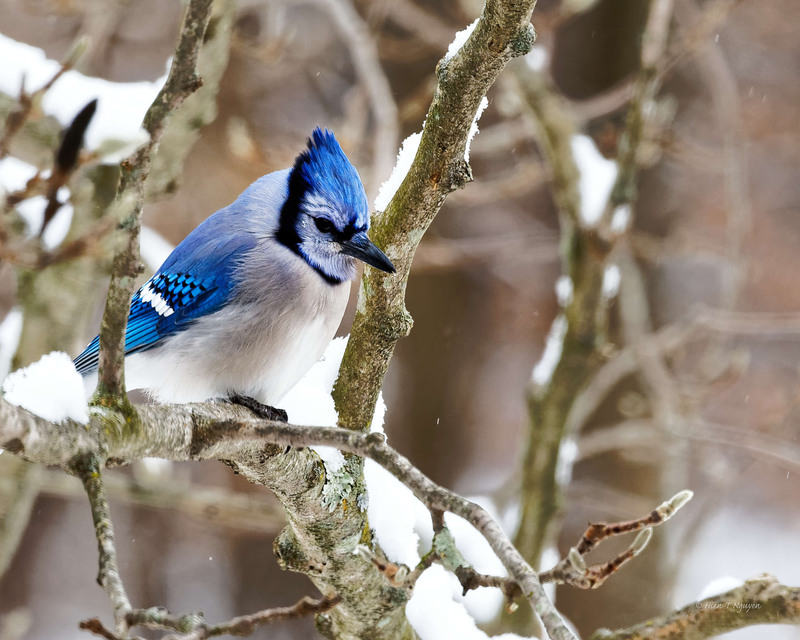 😉 Do you know – forgive me if I already told you this – people here are excited by a Blue Jay that has appeared in a town to the north, lots of people are going to see it! Also, a young male Rose-breasted Grosbeak is at a feeder in Seattle. You have to wonder how the eastern birds make it over the mountains. Thank you for this information! Now I see that the Seattle Audubon mentions Blue Jays are expanding into Washington state, and there is some videos of the Rose-breasted Grosbeak in a Seattle backyard. 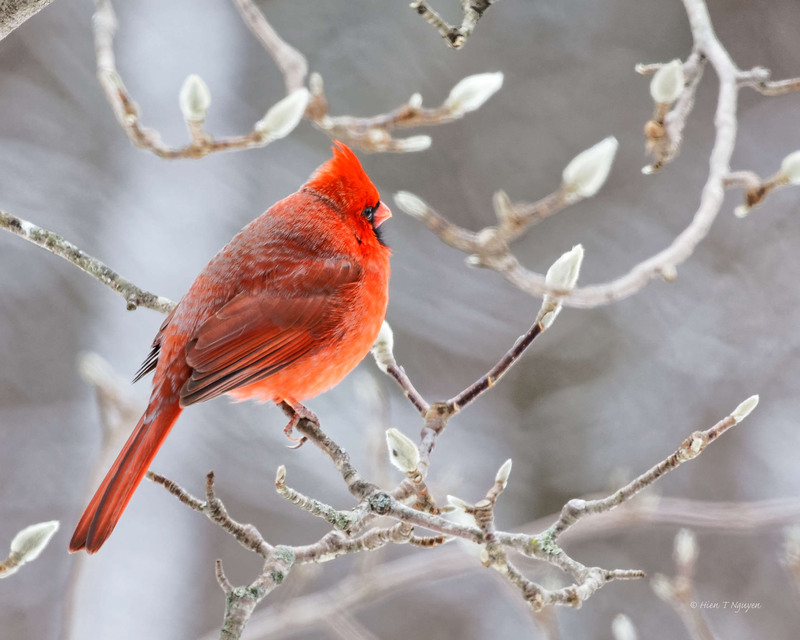 One of these days, will there be a Northern Cardinal in your area? Thank you Michael. Happy New Year to you! Great shots. Congrats (again) on your retirement and Happy New Year. Thank you and may you and your family have a Happy New 2018! Too cold for these birds. Thank you Amy, for visiting this blog and commenting so graciously. Happy New Year to you! 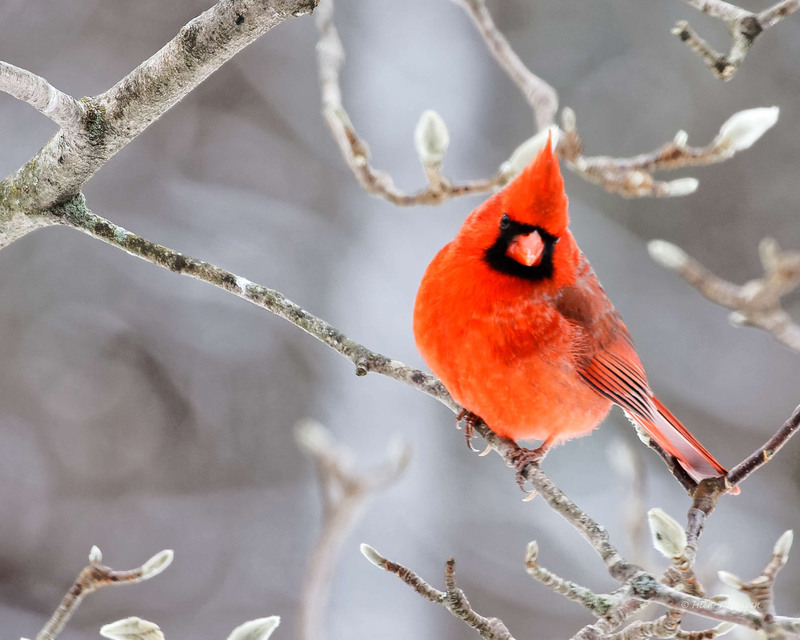 Once again I’m impressed by the colors of your bird images, they’re great! I hope that you’re able to get a good photo of the mystery bird, and that you’re able to ID it. A Happy New Years to you and yours, a hope that 2018 is the best year ever for you. Thank you for your kind comments, Jerry! I am retired as of yesterday, and am looking forward to going out more and see nature. Happy New Year to you too. I hope you won’t have to work so hard and have more time for photography. Beautiful birds. 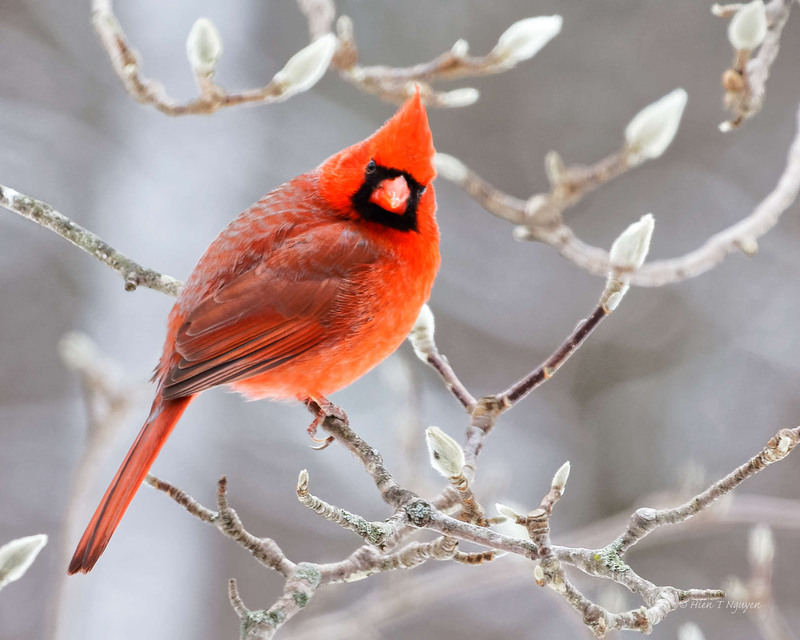 One wonders if the cardinals know they are particularly handsome! These are lovely shots, Hien! 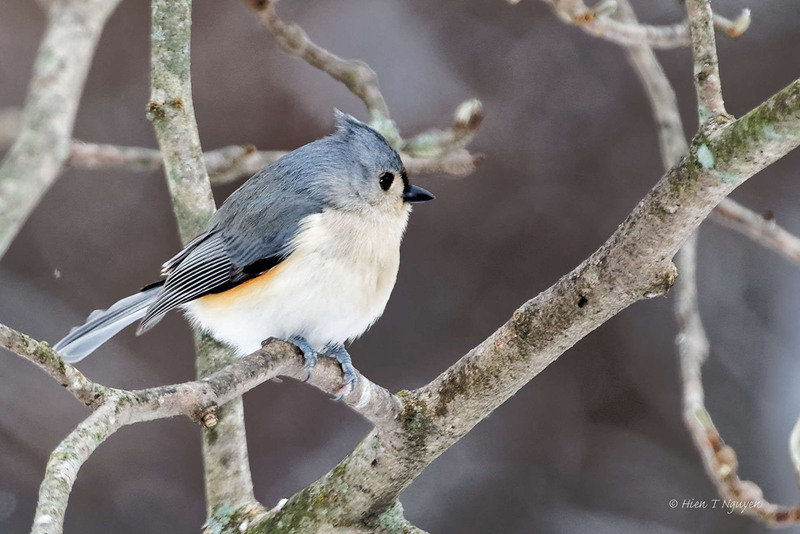 They’re puffed-up look proves it’s cold! Thanks Donna! I wonder how they will do over the next few days with low temperatures and wind. Maybe I’ll put out some energy food for them. Thanks and you too, Katelon!